McCartney, The classic solo debut from Paul McCartney, is often touted as the final nail in The Beatles' coffin. Released before Let It Be — against the other Beatles' wishes — the album also accompanied a press release where McCartney said he no longer envisioned a future writing partnership with John Lennon. The dream was over. Now, 41 years later, this famous debut is getting the expanded treatment as McCartney (Special Edition). Recorded at home, McCartney provides all instruments and vocals himself, save for the occasional background vocals from wife Linda. The album is quirky and comes off as a home demo, which isn't far from the truth. McCartney opens with "The Lovely Linda," a 46-second ode to his better half. The song is the sound of a man in love and theirs was one of the few rock 'n' roll marriages that actually worked. "That Would Be Something" has a bluesy edge that finds McCartney channeling his inner Elvis while "Valentine Day," one of a number of instrumentals on the album, features some hot lead playing from the ex-Beatle. McCartney features a number of songs that are fan favorites to this day, including the longing "Every Night," the whimsical "Junk" and "Teddy Boy" — a track he tried to first work up with the Beatles. It is "Maybe I'm Amazed" though that has perhaps become the signature McCartney song of his entire solo career. Linda was a powerful muse to inspire a song that compares favorably with any of his classic Beatles songs. McCartney has a particularly simple, almost naïve charm to it. It includes an instrumental version of "Junk" entitled "Singalong Junk" so the listener can do just that while the instrumental closing track, "Kreen-Akore" includes a drum solo in the middle of the song for no real reason, save to demonstrate McCartney was a good drummer. The expanded CD includes an extra disc of bonus tracks, which includes a demo of "Suicide," an old-style standard-sounding track featured in a more fleshed-out form on McCartney's One Hand Clapping special. A number of live tracks are also included, three of which come from Wings' concert in Glasgow 1979 and one from One Hand Clapping. Two of these tracks are "Maybe I'm Amazed," which may be a bit of overkill, classic song or not. An early version of "Oo You" entitled "Don't Cry Baby" and the unreleased "Women Kind" round out the collection. The fidelity throughout is much better than previous CD releases of the album and the remastering team is to be commended. McCartney's later solo releases were much more polished than his debut, but at the expense of some of the charm. After all, McCartney was just learning how to make a record on his own when he recorded his debut. 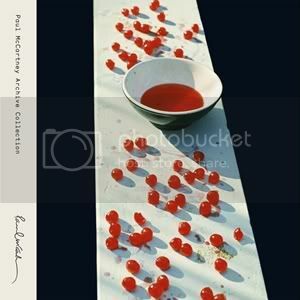 Still, McCartney contains a number of classic songs and this special edition should be in any Beatle fan's library.